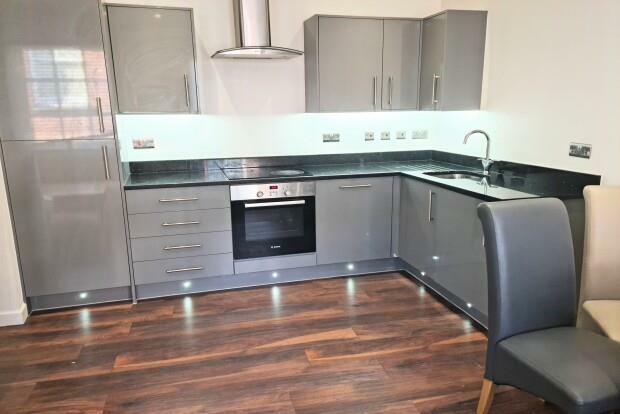 2 Bedroom Flat To Rent in Nottingham for £1,150 per Calendar Month. This apartment offers exclusive city living and has been newly converted to a extremely high specification. It is well placed for the regions commercial and retail centres as well as Nottingham Train Station. The property comprises of a good sized entrance hallway leading into a spacious open plan living/kitchen area, fully fitted kitchen with wall and base units, integrated hob and cooker, fridge/freezer, washing machine and dishwasher. Master double bedroom with fitted wardrobes. Second double bedroom and modern fitted bathroom with three piece white suite and shower over head, and bluetooth mirror. The apartment has a high level of security and a fully equip intercom system. Because of the apartments central location, you are a stoneâ€™s throw from Hockley and The Lace Market which are Nottinghamâ€™s most vibrant hotspots for the most popular restaurants and bars. Please note that the furnished photographs are of the show home and not of the apartment.